Causes of mold growth - Mold remediation should be a cure, not a band-aid, but in order for that to be true the cause or source of the mold growth needs to be properly identified and corrected. 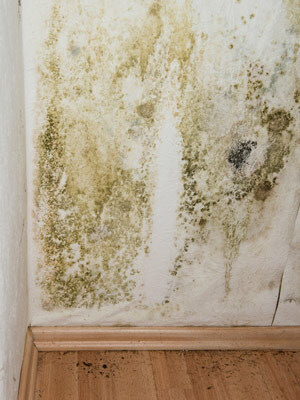 Mold needs two things to grow: a moisture source and a food source. The moisture source can be something severe like a flood or something less obvious, like high relative humidity levels in an area. When the relative humidity exceeds 55% there is enough moisture in the air for mold to grow. As for a food source, mold can feed off of any cellulose-based material such as wood or drywall. A key part of our Mold Inspection is to help you determine the source of your mold growth. Mold testing will also help us in the investigation of the source of the mold by telling us the types of mold that are present. For example, certain molds are markers for water intrusion from the outside, while the presence of other molds suggest a prolonged moisture source in an area. If you have questions regarding the cause of mold growth in your home, contact us to speak with a mold professional.